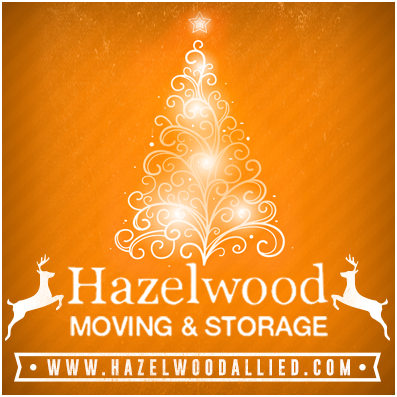 Our team here at Hazelwood Allied would like to take the time to wish you a happy holiday season and we hope that your family is safe as you bring in the New Year. As the kids get ready to go on winter vacation, it’s normal for families to use this time at the end of the year to go on a family trip to visit their loved ones. We love being part of a Santa Barbara community that is continually ranked as one of the safest places to live in California. However, you can never be too safe when it comes to keeping your personal possessions safe. That’s why if you are going on vacation for the holidays, you may wish to consider utilizing secured storage units. Not only will you ensure that your items are safe, but climate-controlled storage rooms will keep your antiques and other high-class items in the condition that they need to be in. There is nothing more frustrating than coming home from a wonderful vacation to see that your home has been broken into and your personal items have been stolen. To keep your home safe during your holiday season, here are some tips to consider. When you go on vacation for an extended period of time, it’s not a bad idea for you to consider stopping your mail service or newspaper delivery each day. If you fail to do this, then it will be an obvious sign that no one is home when your mail or news starts stacking up outside. However, if you do not want to stop your services, then it may be better that you tell a neighbor that you are leaving for a few days on vacation. If you tell a neighbor or two, with the hopes that they’ll look over your home and ensure that it’s safe, then be sure that you only tell people that you trust. The fewer people that know about your home being vacant for multiple days at a time, the safer your home will be. One of the easiest things that you can do before you head on vacation is make sure that all of your doors are locked and that your home is safely secured. Many people forget that they leave a backdoor unlocked throughout most of the year as an emergency way to get inside in the event that they lock themselves out. When a door is left unlocked, it may turn into an easy way for intruders to get inside your home while you are on vacation. To ensure that this doesn’t happen, take the time before your family vacation to go around and check to see that each door is properly locked and secured. Sometimes your home may not be safe no matter how much security you put into it. That’s why it’s often a good idea to consider storage units in Santa Barbara. With professional self storage in Santa Barbara options, you’ll have around-the-clock monitoring of your personal belongings. The added security that comes from Santa Barbara storage units might just be enough emotional relief to help you enjoy your vacation. The great news about many Santa Barbara self storage options is that you don’t need to store all of your personal belongings while you are on vacation. Instead, you can safely store only your most prized possessions like antiques, jewelry, and other valuable personal belongings. If you’ve forgotten to adjust the temperature at your home or office before you head out on holiday break, then you might come home to high utility bills or even more serious problems. In the event that the plumbing in your home or office gets too cold, the pipes could burst. Problems with your plumbing could then lead to flooding and other issues that might make for a troublesome New Year when you return from vacation. If it’s too late and you are returning to a plumbing catastrophe, you can use personal and office storage in Santa Barbara to store your belongings as you have the plumbing repaired. Q: How do I know that I’m hiring a reliable Santa Barbara moving company? A: You may wish to consider reading the testimonials of a moving and storage company. Always do the proper due diligence when hiring moving companies. Q: Is it worth investing in a Santa Barbara self storage company just to move my things during the holidays? A: You might think that it’s not worth it to invest in a self storage company just for a holiday vacation, but think of the repercussions that can happen if you don’t. If you own personal belongings worth thousands of dollars, or even items that are personally priceless, it may be impossible to replace them. Here are some great Christmas and holiday events to check out in Santa Barbara this month. 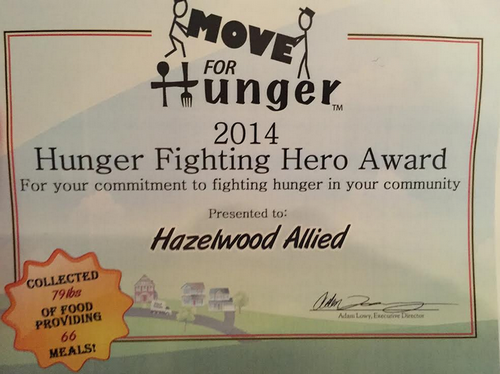 Hazelwood Allied Moving and Storage was awarded the 2014 Hunger Fighting Hero Award from Move for Hunger Food Drive for contributing boxes to hold the donations and transporting them to the Foodbank location. Santa Barbara Community College students helped organizing the food drive on campus. Collections were donated to the Foodbank of Santa Barbara County. “We’re thankful we have the resources to assist in the carriage and transport of the donations these students are able to collect. 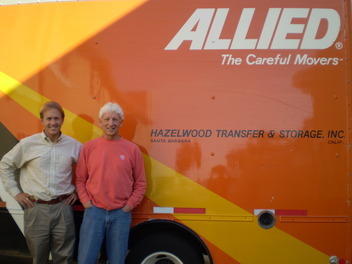 Feeling helplessly hungry is a painful experience to endure, and we're glad our contributions made an impact” said Casey McCann, co-owner of Hazelwood Allied. 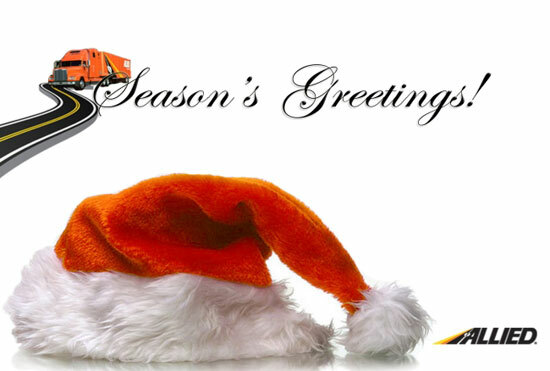 From all of us at Hazelwood Allied, we would like to wish you a safe and happy holiday season this year. I agree that it really is devastating seeing your home broken into by thieves after a relaxing vacation. These tips serve as reminder to all of us, not just to those going out of town. This thoughtful article from a moving company in Santa Barbara should be read by homeowners and shared to all members of the family.